Of course it rained in Lynnwood on Memorial Day! That’s because there was an outdoor ceremony being performed at Veterans Park to honor our nation’s war dead. It always rains then–it’s traditional. But some 250 people didn’t care and came anyway, God bless ’em! And as Bugler of VFW Post 1040, I had the privilege to sound three bugle calls—first, “Assembly,” to catch the crowd’s attention and cue the Northwest Jr. Pipe Band to commence the ceremony; then “Echo Taps” to close the ceremony; and finally, “To the Color” when honors were rendered as the American flag was hoisted to full mast at noon, according to custom and protocol. 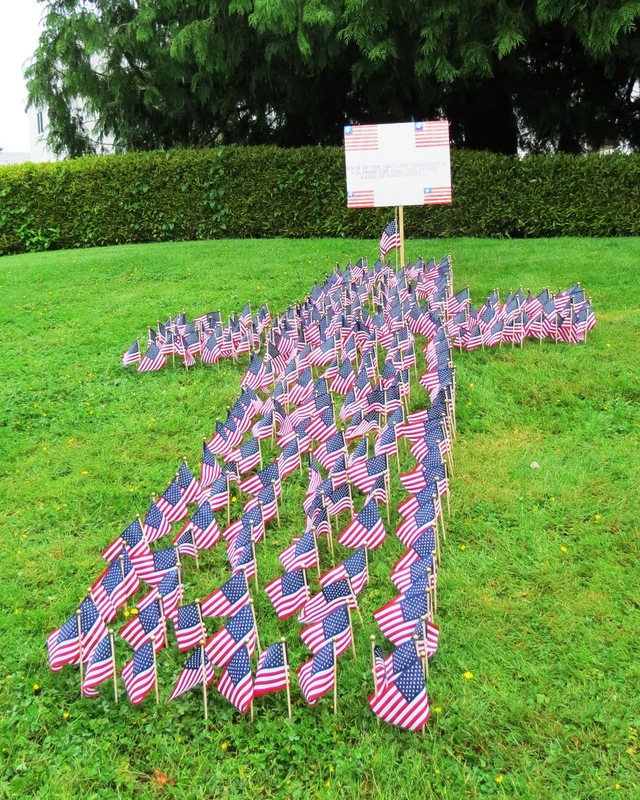 Boy Scouts Troop 49 of Lynnwood placed flags in the park and distributed the programs. Garret Lloyd King sang three songs, and VFW Post Piper Ray Colby played “God Bless America” on the bagpipes. The Northwest Jr. Pipe Band played “Green Hills,” “Battles Ore,” and “Amazing Grace.” The “echo” part of “Taps” was sounded by Josiah Chupik, lead trumpeter of the Woodinville High School Bands and a former trumpet student of mine. And the three-volley rifle salute by the VFW Post 1040 Honor Guard was perfect. This entry was posted on June 1, 2013 at 8:02 am	and is filed under Ceremonies & Celebrations. 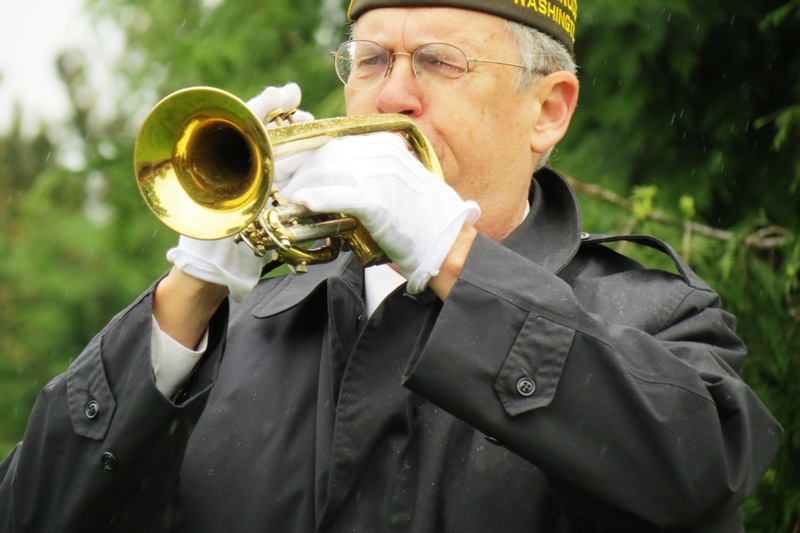 Tagged: Assembly, bugle, bugler, echo taps, Taps, To the Color, trumpet, trumpeter, VFW Post 1040. You can follow any responses to this entry through the RSS 2.0 feed. You can leave a response, or trackback from your own site. Yes, Jo Anne [my younger sister], everything was quite well done! It would be lovely if you were here for Memorial Day or Veterans Day sometime. But you’ll just have to substitute a similar service closer to your home—in East Texas! Thanks for your support.